As he settles into his new role as vice president for research and economic development at The University of Alabama, Mumper is meeting with colleagues to understand the research enterprise on campus, and he’s not hesitating to explore opportunities to enhance those efforts. “I’m extremely impressed with the work here on campus and the involvement of students in leading-edge research,” Mumper said. He joined UA Jan. 4 after serving about four years as vice provost for academic affairs at the University of Georgia. Selected in October after a national search, Mumper provides leadership for advancing UA’s research and economic development efforts, fulfilling one of the primary goals of UA’s Strategic Plan. 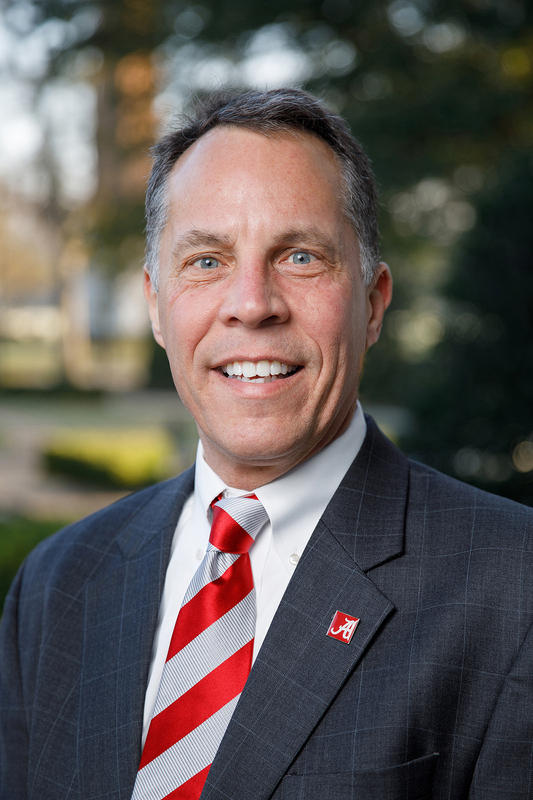 Mumper will spend the first few months of his tenure working on a collaborative strategic plan to expand the University’s research enterprise consistent with UA’s Strategic Plan. “It’s critical to work closely with faculty and academic units because they are the foundation for the success of this campus’s research endeavors,” he said. He wants to continue to support the institutes on campus that broadly encourage faculty and researchers to collaborate in the areas of transportation, water, cyber and the human condition. The institutes are the Alabama Transportation Institute, Alabama Water Institute, Alabama Cyber Institute and the Alabama Life Research Institute. “Organizing around these themes will help in strategic faculty hires, student recruitment, external funding and partnerships with industry,” he said. He expects more institutes are likely to form, as there is critical mass in other areas on campus. While putting together a more detailed plan continues this spring, Mumper said there are initiatives he knows will help. He would like to motivate research by strengthening the infrastructure for securing external funding including eliminating any barriers that remain to faculty writing and submitting grants, investing in more grant coordinators and defining best practices for submissions. Mumper would also like to find ways to provide investments and rewards to faculty. Investments could include more seed funding, faculty hires, more endowed professorships and possibly a return of more funds to faculty, centers and academic units to provide additional resources for more innovations. “To ensure sustainability of research activity, UA can explore rewarding innovation that results in invention disclosures, copyrighted materials and patents, high-impact publications, creative works, start-up companies, technology transfer agreements and economic development,” he said. “We must create a culture of UA being a destination for faculty to develop and reach their full potential as innovators and scholars,” Mumper said.